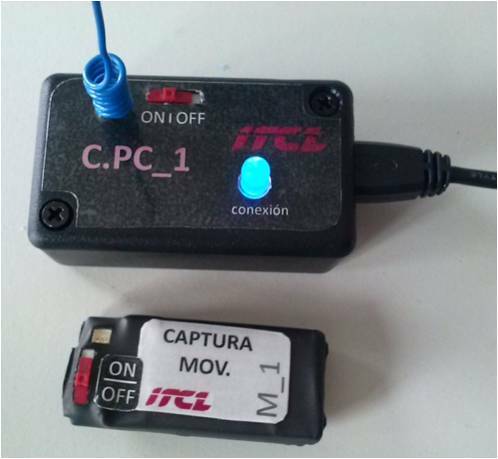 Our Data loggers are devices developed by ITCL aiming for the measurement and acquisition of movement data for experimentation purposes by researchers. They are enclosed in a wristband so that they can be easily used without causing any discomfort. They are based on a three axes accelerometer, and can be configured, on demand, to use 2G or 3G accelerometers. Movement acceleration data from the three axes are sampled with a 16Hz sample rate. They are powered by a lithium battery that can be charged through the micro-USB connector. Optional: Devices without any software programmed and full access to the programmable microcontroller can also be delivered. This standalone data logger system stores the acquired data in an internal memory together with their exact timestamp. The data extraction is accessible through the micro-USB connector and a receiver device that is included in the kit. As per client request, the device can be configured to store every acceleration data (from the three axes each 1/16 second) or to store a result of the calculation of the acquired data: addition, average, module deviation per second, movement intensity, average energy, etc. The first released version is able to store a 45 minutes test, while the second one can store a 45 hours test. Battery life is approximately 45 horas of operation without charging. 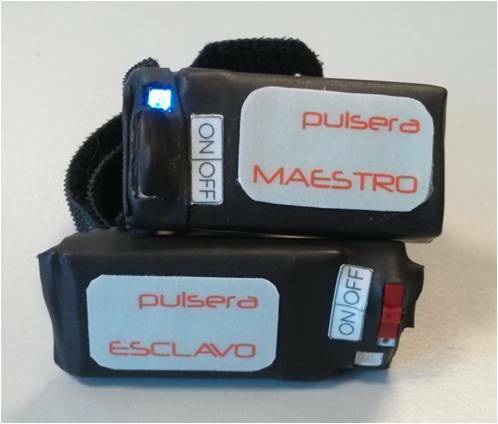 This system comprises a standalone data logger system made up by a Wireless wristband and a receiver device that connects to a PC. The wristband measures the movement and wirelessly sends the data in real time to the receiver. The receiver gathers and sends them to a PC through a serial port. As per client request, the device can be configured to store every acceleration data (from the three axes each 1/16 second) or to store a result of the calculation of the acquired data: addition, average, module deviation per second, movement intensity, average energy, etc. Battery life is approximately 35 hours of operation without charging. This set is made up by two wristbands that work together. 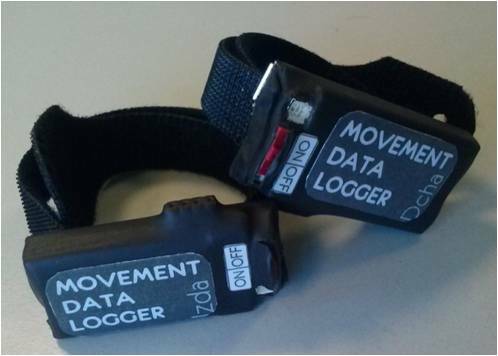 Movement data from both wristbands are coupled and stored in the master internal memory. Data extraction is performed through the micro-USB connector and a receiver device that connects to a PC and that is included in the kit. As per client request, the device can be configured store a result of the calculation of the acquired data: addition, average, module deviation per second, movement intensity, average energy, etc. The device stores the addition of the movement module each second, being able to store the data of tests run for up to 17 hours. Battery life is approximately 30 hours of operation without charging. A simple and intuitive Android APP enables the acquisition of data from any of the above mentioned data loggers. The application runs on both mobile phones and tablets equipped with and OTG USB (USB Host Port). It also features the tagging of data according to user’s preferences, producing two different files, one with the data from the data logger and another one with the tags selected by the user in real time. Fort the user’s convenience, the APP automatically detects the connection between the data logger and the mobile device.